Time again for Monday’s Music Moves Me, otherwise known as #4M or M4, depending upon whom you are conversing with. 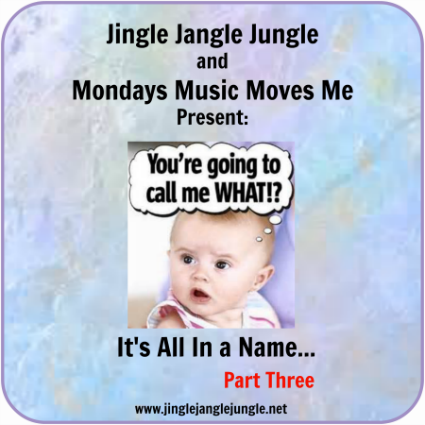 Today’s Theme is a freebie, so I’m going to continue on with my ‘It’s All In a Name’ series. This is part three of a three part series. What are some of your favorite songs that have both male and female names in the titles? Did you like this little series? What other musical topics would you like to see here? Very nice songs. Love Allison Krauss. Jack and Diane is certainly a good one. Great idea for a theme. Have a wonderful Labor Day weekend! I had a lot of fun playing with this theme and breaking it down into various parts. Clever theme, and you built a nice set! These are all great songs. 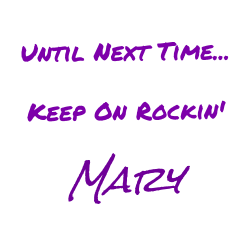 ooh, very cool Mary! I wasn't expecting that: songs with BOTH male and female names in the title! Good one! That's tough. Besides John Mellencamp's Jack & Diane, the only other one that I can think of is "Frankie & Johnny", a song about a girl named Frankie who shoots her lover because she caught him with another woman. There are several versions of the song but the one I'm most familiar with is by Sam Cooke (an artist I also featured in my 4M post today). Elvis did a version of it and Van Morrison and several others. Apparently it's based on a true story from a long time ago. I really like the Frankie and Johnny song, too. Thought I'd do something a little different today. What's this no days off until February?!? Not even Thanksgiving, Christmas, or New Years? your boss must be a slave driver! I had a relatively quiet weekend. Worked Saturday, but slept in today. Spent most of my time working on social media stuffs. I need to figure out some posts for next week, and then it's back to regular grind for me. I'd do a post about Steely Dan, but I just did one a few months ago. Am running behind on making the rounds today. It may be tomorrow before I get there! Good grief, when is Presidents Day? What the hell is in October that we get a day off for?? I thought it was Presidents Day. I've enjoyed your series of songs with people's names in the song titles. I like that you've included male/female names together. Some of these are new-to-me. Allison Krauss & the Union Station being one which is a good suit to my listening pleasure. I rarely think of Ray Parker Jr's other mewsic with Ghostbusters first to come to mind. "Jack and Jill" is a good reminder that he had other popular songs. Thanks for hitting the dance floor with the 4M gals.Have a good week, my friend! I'll admit that I enlisted the help of the internet for this last part of the series. It was a fun exercise putting the list together. Some of the songs I had heard before, but most were new to me as well. Not a bad showing. I'll be making my rounds later today. I'm still running a bit behind. What awesome choices, Mary! Perfect selections for your creative theme! :) Thanks so much for the dance!